If You are running a website or blog you must have heard about Importance of proper keyword research to get more traffic from Search Engines specially Google. If you will do proper research on keywords then you will be able to create content about which people are searching through search engines and this is how you will be able to get more traffic, sales and profit. There are several Keyword research tools and Softwares available out there but the best one which I really love to use is Long Tail Pro. This Software makes It really easy to do proper research about keywords and find Long tail keywords. It also helps to understand the competition for different keywords. after starting it you just need to enter a keyword and click generate keyword buttons and It will automatically provide you with hundreds of Keyword Ideas. 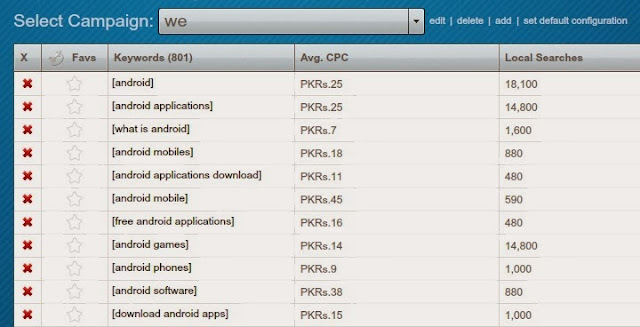 It will also tell you the Average Cost per click which advertisers are willing to pay for the keywords. you can also found about how many Local and global searches are done for that keyword monthly on Google. Another great feature of Long Tail Pro is competitor analysis for keywords. with this feature you can find about competition for any keyword in Google. It will show you the average keyword competitiveness and details of Top 10 results in Google for keywords. The third great feature of this software is that with it you can check Rank of your website in Google, Yahoo and Bing for any keyword. The Price of Long Tail Pro is $90 which seems really high but I think In this price this Software is worth buying if you want to do your online business more professionally. Its also worth buying for those people who wants to make Niche sites.